ahhh, springtime - it's so pleasant isn't it? hope is in the air and the warmer weather makes it feel like anything is possible. what a coincidence - that's my new outlook on life! and in order to feel renewed and invigorated and ready for anything, i needed a light and happy online workspace. a bit of spring cleaning* if you will. 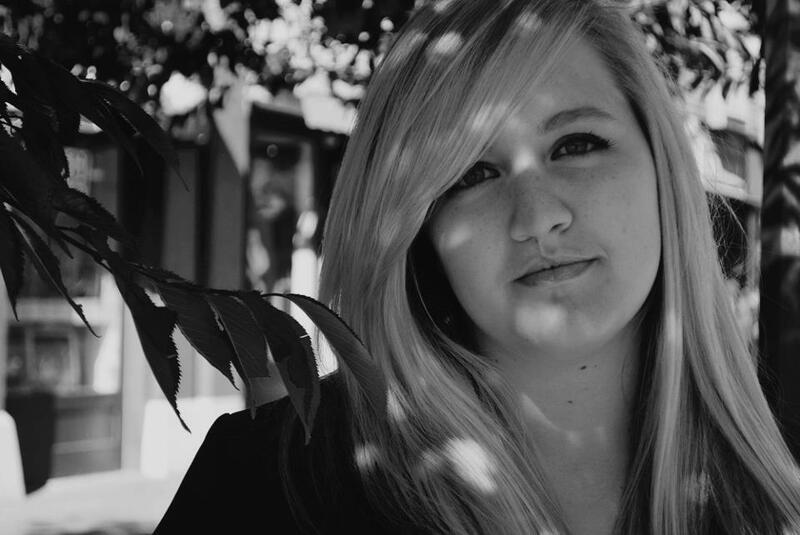 enter savannah wallace from maie dae graphics! i told her i wanted something artsy, romantic, modern and clean - and low and behold - that's exactly what she gave me :) thank-you so much savannah - i'm feeling very refreshed! as a favour, if you are a reader but not a follower, i would love if you join this site through google friend connect. i'm looking forward to taking sponsors soon, but would prefer to be at three hundred gfc friends first! 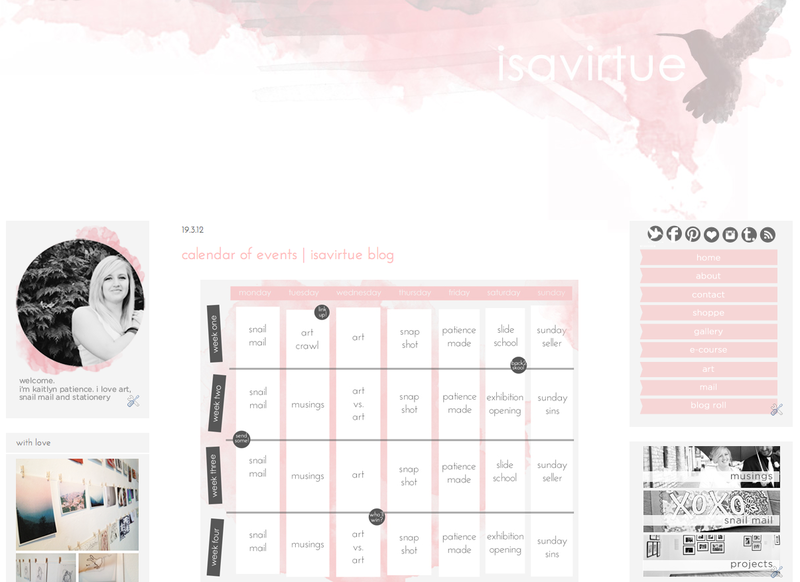 if sponsoring isavirtue is something you might be interested in** - shoot me an email. see the post below for the new calendar of events on isavirtue - i hope to see you all participating in the next art crawl and checking in on saturdays to see the latest gallery exhibition. there's lots of exciting things happening for me right now too. i'm now a contributor at online art journal escape into life, a writer and contributor at dearest nature and i'm working stealthily on two somewhat related fun projects - one for my shop (it'll be "something good" i promise! ***) and the other is a postal project with gentri lee. in real life, i'm gearing up for the victoria emerging art awards at my gallery! * my stationery shoppe also got a little make-over, as did my twitter. The design is gorgeous!!!! A perfect fit for you. I love it! It's so pretty. Love the new design! So pretty!